The dough seems dry when mixing begins, but as the process continues, cottage cheese and carrots release moisture and a soft dough forms. The bread has a tender-texture with orange flecks throughout-quite interesting, very tasty. Place room temperature ingredients in pan in the order listed. Select Basic cycle and Medium crust. Do not use the delay timer. Mixture is very dry as kneading begins. Check dough consistency after 10 minutes of kneading, adding 1 teaspoon to 1 tablespoon water if necessary. See our Bread Machine section for more helpful tips and information. You can substitute Instant (fast-rising) yeast for Active Dry Yeast. 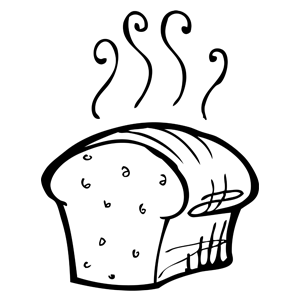 For Bread Machines - use ½ tsp Instant (Quick Rise) yeast (or ¾ tsp Active Dry yeast) per cup of flour in your recipe.